Acer has partnered with Google to unveil the latest Chromebook, the Acer C720 Chromebook and it is available in the different markets already, with the availability being in a few days from now. The Haswell-powered Chromebook would run the Chrome OS, and it would be coming with the 11.6-inch display. The resolution would be 1366 x 768 pixels. “The Acer C720 is a significant step forward for our highly-acclaimed Acer Chromebook line, as it delivers speedy performance, quick boot times, a matte anti-glare display and a slimmer design that is portable enough for anywhere use,” said S Rajendran, chief marketing officer at Acer India. Acer has packed in some decent specifications into the C720 Chromebook, and this is the first one to be available in the Indian market. The micro-architecture from Haswell powers the Chromebook with the 1.4GHz Intel Celeron 2955U processor, and there is 4GB of RAM included. The 16GB SSD storage shouldn’t be looking bad because you aren’t expected to use the Chromebook as a standard laptop with all the functionality. On the top of the screen, there is an HD webcam included, and the connectivity ports included by the company on the device is a USB 3.0 port, USB 2.0 port, HDMI port and an SD card reader. Acer in India has tagged with a couple providers, i.e. Airtel and Tikona to bundle up a few offers so that the users get some advantage for the connectivity. Check below for the various details about the pricing of the Acer C720 Chromebook. 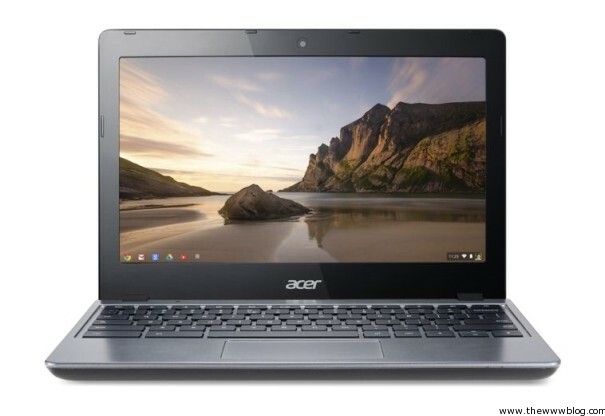 Acer Chromebook C720 Price in U.S. The C720 is priced at a decent price of $249 in the U.S., and it is already available for pre-ordering on Amazon. In India, one might be able to see the Chromebook available for the price of Rs. 22,999. This would be available at the Reliance Digital stores, and in the Croma stores in Mumbai and Delhi from October 17th. On Flipkart, one can pre-order it right away. Along with the Chromebook, one can go with the following offers available as Acer has bundled up with these two companies in India, one is the data service provider and other is the broadband provider.